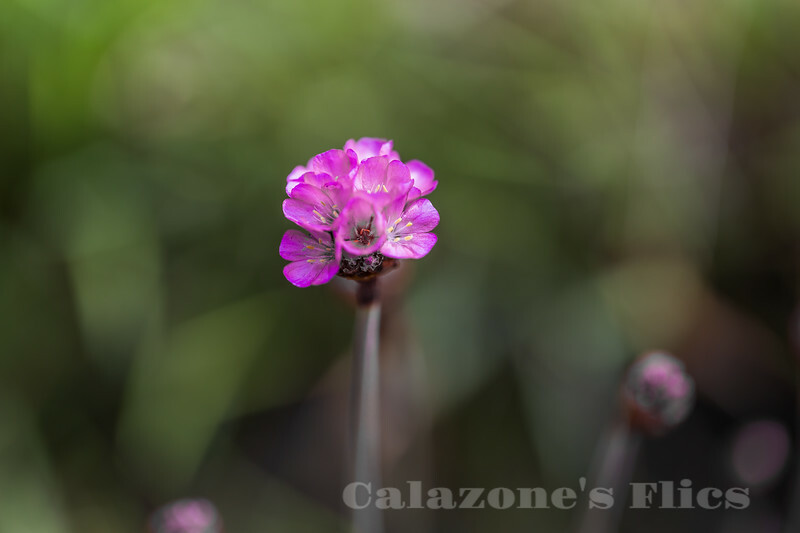 Armeria maritima, commonly known as thrift, sea thrift or sea pink, is a species of flowering plant in the family Plumbaginaceae. It is a compact perennial which grows in low clumps and sends up long stems that support globes of bright pink flowers. In some cases purple, white or red flowers also occur. It is a popular garden flower and has been distributed worldwide as a garden and cut flower. It does well in gardens designed as xeriscapes or rock gardens. Armeria maritima sensu lato has a circumpolar distribution can be found in the wild in coastal areas across the Northern Hemisphere but also occurs in parts of South America.[where?] It can grow in dry, sandy, saline conditions such as coastal cliffs, grassland and salt marshes, salted roadsides and inland on mountain rocks. :434:70 It is a common sight in British salt marshes.